Raaga.com: Mani Ratnam Reveals How ‘NAYAGAN’ Happened! This Though provoking verse taken from Robert Frost’s poem ‘The Road Not Taken’ proficiently captures in nutshell the life story of Internationally acclaimed film director, screenwriter and producer, Mani Ratnam because despite being an MBA graduate from Jamnalal Bajaj Institute of Management Studies and having a thriving business as management consultant he quit his lucrative occupation and listened to his heart and as Robert Frost’s poem’s concluding lines declare - And that has made all the difference! 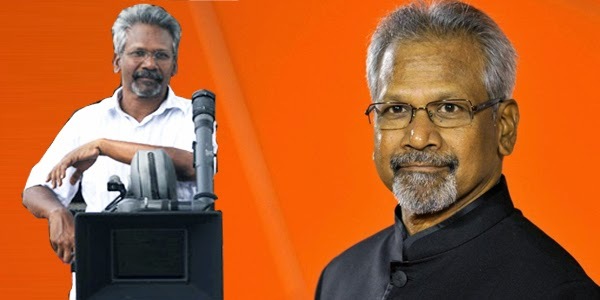 Had Mani Ratnam continued as management consultant he would have definitely minted money but the world would have been devoid of a filmmaker par excellence. The legendary film wizard turns 58 today. Raaga.Com wishes him birthday greeting and reveals how his most outstanding Tamil film NAYAGAN (which was dubbed in Telugu as NAYAKUDU and remade in Hindi as DAYAVAN) accidently happened.